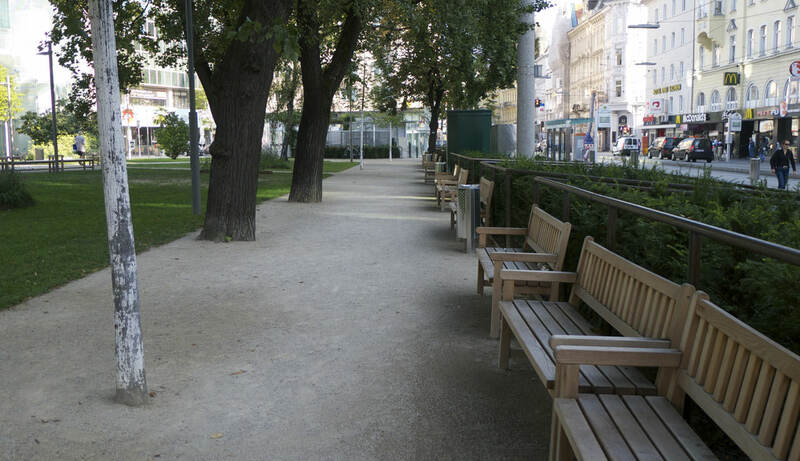 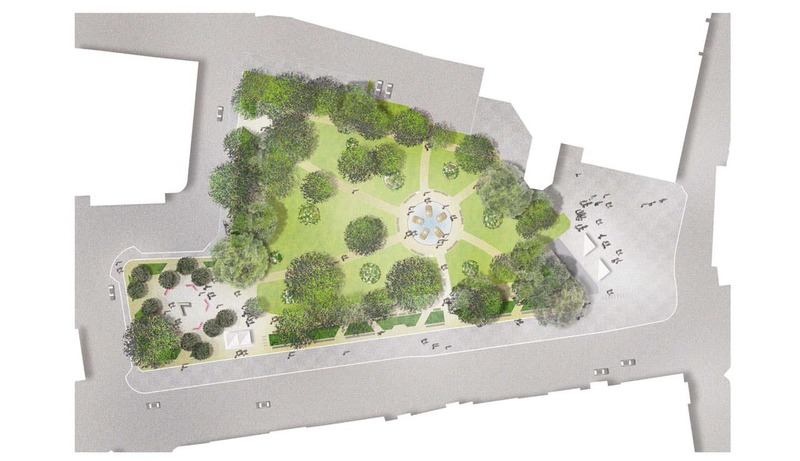 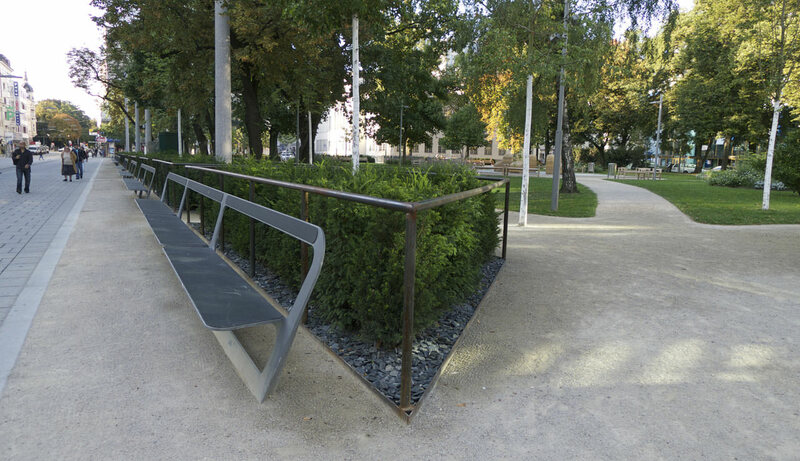 Inspired by Friedrich Schiller’s poem „Der Spaziergang“ („The walk“) the concept of a contemporary reinterpretation of a classical park was developed. 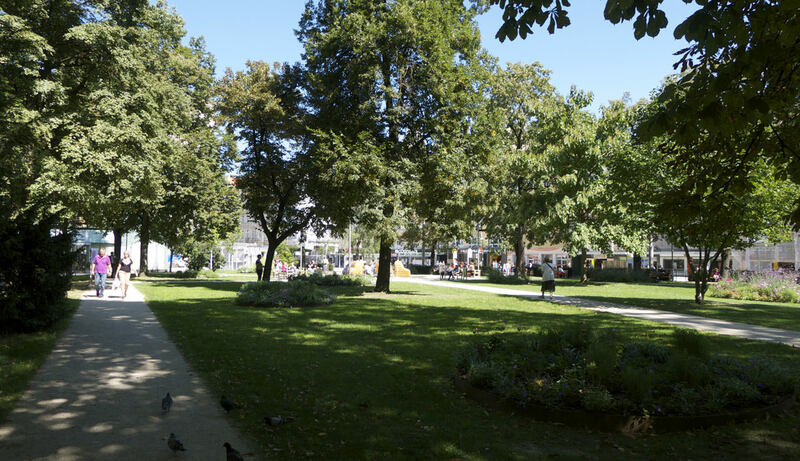 Old trees, an open pine yard and reinforced evergreen hedges frame and shield the central park area. 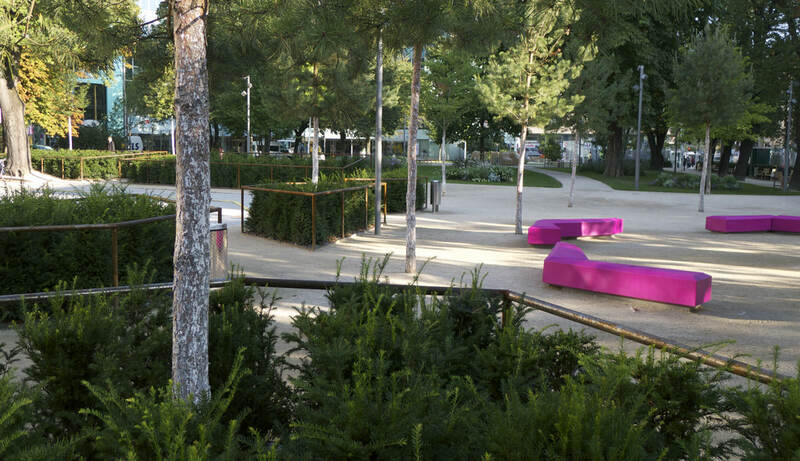 Equipped with spacious paths and lawns, the adapted well, interspersed flower islands and classical park benches, the park becomes an urban place of peace and recreation.